ensure maximum comfort for continuous use. The unique form design not only based on the matter of functionality but also incorporates with a human dimension. The elaborate construction of the structure is emphasized on helping user enjoy great comfort. The hidden design of the lock buttons are a patented device that designed to present a modern look of the stamp. 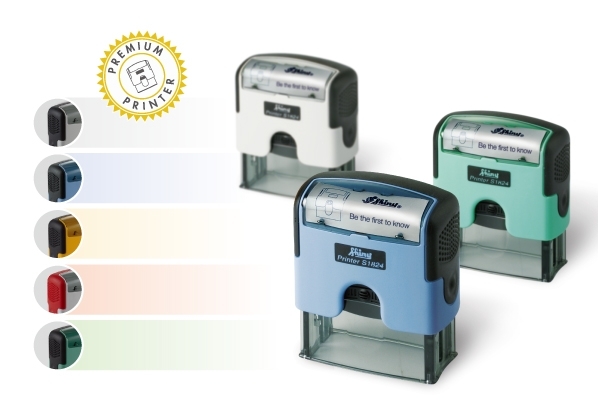 Premium Printer features skid proof handle that allows easy and non-slip handling. guaranteed to make impressions of truly supreme quality.